Every Evening we think about what we make in our Rasoi.me . Special Easy instant snack recipe crispy sweet corn. 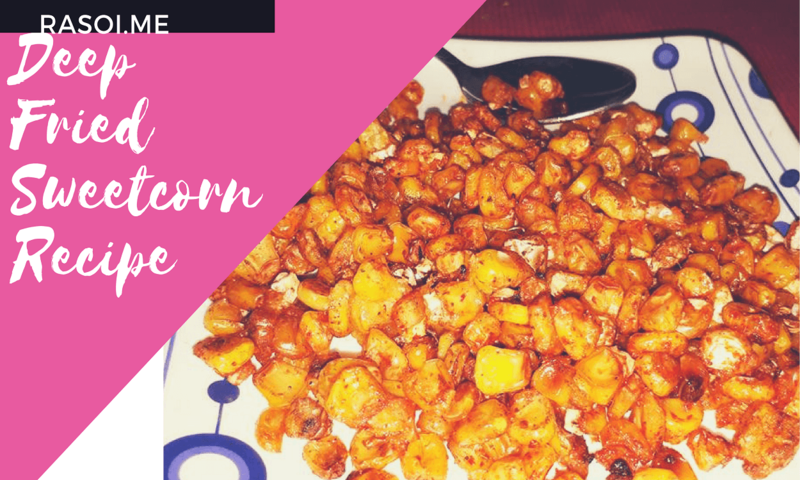 Chatpata deep fried sweet corn recipe you can make instantly. Homemade cooking with healthy tasty recipes with me. After boil take 2 tsp cornflour and rub the sweet corn in cornflour. Heat oil in pain and deep fry this sweet corn for 10 minutes on slow flame. Crispy Sweet Corn is ready to eat. No Replies to "Chatpata Deep fried Sweet corn| crispy corn crackers|corn deep fry Recipe"